Oklahoma Connection | Royal was born in Hollis, Oklahoma. One of Darrell Royal’s first acts as coach at Texas was to employ the nation’s first Academics Counselor and over the years, four out of every five men who lettered for him went on to achieve their degrees. 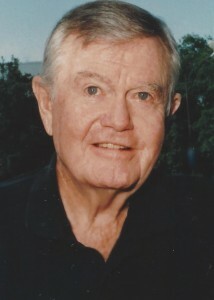 Darrell Royal graduated in 1950 from the University of Oklahoma after playing football as an All-American quarterback for the college. He immediately began his coaching career, first as an assistant at North Carolina State University, then the University of Tulsa and at Mississippi State University, where he became a head coach. He became head coach of the Edmonton Eskimos, then the University of Washington, and finally at the University of Texas in 1957. In 1962, Royal became Athletic Director, as well, and applied the “flip-flop” to the Wing-T formation in 1961, and in 1968, he installed the Wishbone formation and his teams won thirty straight games and six Southwest Conference championships. His teams recorded three national championships and 16 bowl games. Royal was named “Coach of the Decade” of the 1960’s and was named to the National Football College Hall of Fame in 1982.